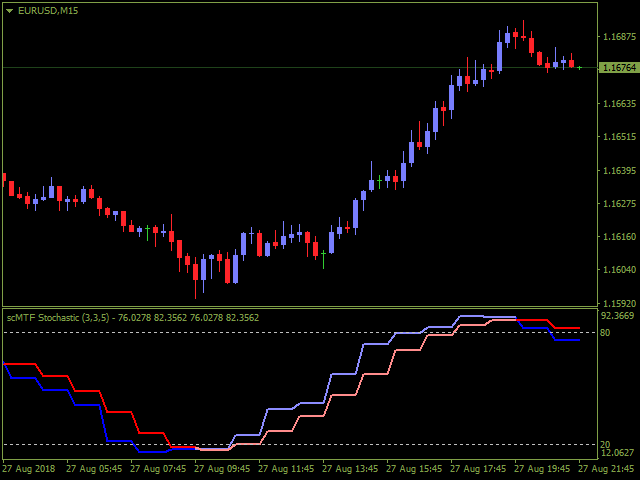 Stochastic Timeframe: You can set the lower/higher timeframes for Stochastic. Stochastic K Period, Stochastic D Period, Stochastic Slowing Period, Applied MA Method for Signal Line, Applied Price: Stochastic parameters. 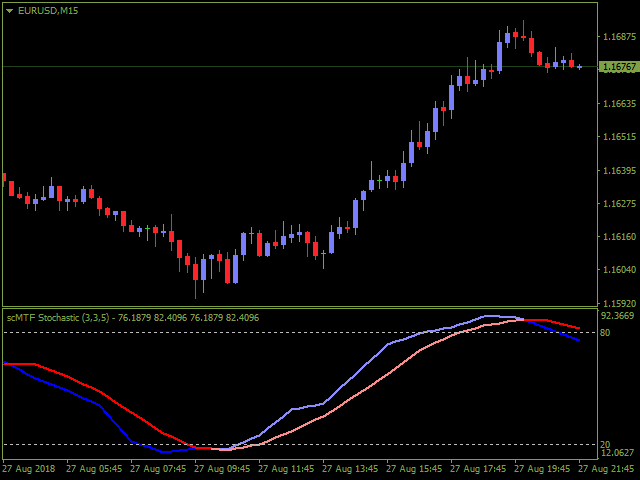 Shows Indicator Levels: Turn on/off the Stochastic level showing. Adjust High Level of Stochastic / Adjust Low Level of Stochastic: Adjust the Stochastic levels. Main Line Crossed Levels After Bar Closed: Turn on/off this alert event. Main Line is Crossing Levels Before Bar Close: Turn on/off this alert event. Signal Line Crossed Levels After Bar Closed: Turn on/off this alert event. Signal Line is Crossing Levels Before Bar Close: Turn on/off this alert event. Booth Lines Crossed Levels After Bar Closed: Turn on/off this alert event. Booth Lines is Crossing Levels Before Bar Close: Turn on/off this alert event. Booth Lines Crossed Each Other After Bar Closed: Turn on/off this alert event. Booth Lines is Crossing Each Other Before Bar Close: Turn on/off this alert event. The Direction of Signal Line Changed After Bar Closed: Turn on/off this alert event. The Direction of Signal Line is Changing Before Bar Close: Turn on/off this alert event. The Direction of Booth Lines Changed After Bar Closed: Turn on/off this alert event. The Direction of Booth Lines is Changing Before Bar Close: Turn on/off this alert event. Draw Main Line in Histogram Mode: Draws Main Line with line or histogram mode. Color 1 of Main Line, Color 2 of Main Line, Color 3 of Main Line, Color 4 of Main Line: Set colors. Width of Main Line: Style setting. Style of Main Line: Style setting. Draw Signal Line in Histogram Mode: Draws Signal Line with line or histogram mode. Color 1 of Signal Line, Color 2 of Signal Line, Color 3 of Signal Line, Color 4 of Signal Line: Set colors. Width of Signal Line: Style setting. Style of Signal Line: Style setting. Appearance and functionality on top. This is the best MTF Stochastic indicator I have come across- it does a great job interpolating higher Timeframe %K and %D trajectories. Also the alert system is very well developed - offering a wide range of criteria for alerts that are very useful. Krisztian - KUDOS to YOU - thanks for offering the best MT4 Multi-Timeframe Stochastic indicator on the market - all for free - many thanks.